Interview with Barby Ingle: Review of ketamine treatment for CRPS….and much more! Ms. Barby Ingle is a volunteer chronic pain educator for the Power of Pain Foundation, patient advocate, and motivational speaker. She has been a pain patient since 2002 and began mentoring other patients in 2006. Prior to her auto accident causing chronic pain, RSD symptoms, and subsequent surgeries, Barby was a business owner, event coordinator and head coach at Washington State University for the entire cheerleading/dance program. Barby has been a speaker and motivator since 1992, as part of her job as a Collegiate Head Coach, business owner, and now as a volunteer patient advocate. She graduated from the George Mason University in 1994 with a degree in Social Psychology. Ms. Ingle uses her skills from Cheerleading to inspire and motivate patients to be self advocates and offers tips and tools for patients, caretakers, and healthcare professionals. Barby is a bestselling author of two books; RSD in Me! and ReMission Possible, and is currently working on her next book. She has been featured on Radio, Newspapers, Magazines, Print Ads, Internet Ads, and Television. 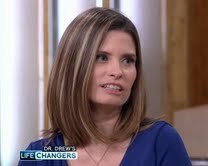 She was most recently seen on the Dr. Drew Lifechangers Show. Honors include “2012 You Are Our Hero” Award from the Neuropathy Action Foundation, Nominated in 3 categories for the 2011 Wego Health Activist Awards: Best In Show, Paperboy, & Offline Crusader. 2003 who’s who of U.S. Cheerleading coach’s honoree, 2004 Cheer LTD. Coach of the year nominee, 1998 – 2003 Teams ranked nationally in the top 10, coached at the Sun Bowl and two Rose Bowls. Barby has also served as a National speaker 1996-present, Author of the Cheertec Coaches’ Handbook, 1995-2003; six part DVD Series on aspects of cheerleading 2001. She is also a contributor to Cheerleader! An American Icon, 2004 and CO-Arthur of The Wisdom of Ingle, 2007. I truly admire Mrs Barby Ingle. She is a wonderful lady who has been battling RSD/CRPS since 2002. She is now well known amongst the English Speaking CRPS/RSD communities for her continuous dedication in helping other pain patients. She is an extraordinary CRPS/RSD pain advocate and author. She has almost finished her fourth book. Since having had her low dose ketamine treatment in 2009 and the consecutive boosters, Barby Ingle has been in remission from her CRPS. She explains her fight, hope, remission and healing socially in his book “Remission possible, yours if you choose to accept it”. I’m a Belgian CRPS pain patient. I had the opportunity to meet with the Saarbrücken team in Germany. If you do basic scientific research on “CRPS and ketamine”, you will find very quickly that the ketamine research started in Germany. It started in Germany but with the close involvement of Dr Robert Schwartzman, a worldwide and famous neurologist in the field of CRPS/RSD. Dr. Schwartzman has more than 30 years of experience in the treatment of CRPS/RSD. He is offering the low-dose ketamine treatment in Philadelphia, USA. The ketamine treatment is not the first “treatment option” offered to a CRPS/RSD patient. There is a “graduation protocole” if the other classical pain treatments fail. I realized this interview with Barby in January 2012. We have finalized it this month. I have asked Barby to introduce herself. I really hope that this interview will give you more information about Mrs. Ingle’s pain advocacy work as well as a more comprehensive view about the role of using ketamine treatment in CRPS/RSD. I further hope that I will be able to translate this article into French one day. 1. Barby, how did you develop CRPS? How and when were you diagnosed? I developed RSD September 26, 2002 after a minor auto accident. I was diagnosed with a brachial plexus nerve injury because of the accident, which spread to full body RSD with organ involvement. It was not until May 2005, that I was properly diagnosed with RSD. Between September 2002 and May 2005, I underwent multiple surgeries including a first rib resection. Each surgery caused the RSD to spread and symptoms to be exacerbated. I was diagnosed officially after a pain management doctor examined me, looked through my records and then performed a nerve block in the right ganglion nerve bundle of my neck. The nerve block helped for a few hours and I began radio frequency ablations after that. Barby, you are the Executive Director of the Power of Pain Foundation. What are its missions? What are your responsibilities? What kind of works are you doing within the frame of this foundation? The Power of Pain Foundation (POPF) is a registered not-for-profit organization founded on January 1, 2007. The POPF’s mission is to educate and show support for Chronic Pain Patients, specifically those with Neuropathy Pain conditions including Reflex Sympathetic Dystrophy (RSD), Diabetic Neuropathy and Post Cancer Pain. We fulfill our mission by promoting public and professional awareness of Neuropathy chronic pain conditions, educating those afflicted with the syndrome, their families, friends and healthcare providers on the disabling pain it causes, action-oriented public awareness, education, and pain policy improvement through activities and efforts to eliminate the under treatment of chronic pain and a commitment to emotional and educational support for chronic pain sufferers who have Neuropathy pain conditions such as RSD. The POPF’s objectives are reached by important education, support and enhancement projects. The Power of Pain Foundation demonstrates its commitment to the chronic pain community by promoting new knowledge in the cause and treatment of chronic pain conditions. The ultimate goal is to increase chronic pain patients’ ability to perform their regular activities in the community and to bolster society’s ability to provide full opportunities and appropriate supports for its pain citizens. Through supporting education for pain patients, family members, caretakers and medical professionals, we make an important contribution to the overall knowledge and treatment of chronic pain. My responsibilities as Executive Director are running the day-to-day activities for the foundation. This includes carrying out the organizations goals & mission. I also attend board meetings to report on the progress of the organization and answer questions of the board members. I coordinate the executive staff as they put together awareness and educational events for patients, caregivers and healthcare professionals. This is a volunteer position, as are all of the executive staff members. We do this to ensure that funding raised goes as far as possible to helping those who need it most. Each year for the past 5 years, I have been involved with awareness projects, educational projects, motivational speaking, fundraising, supporting legislation, and mentoring. 3. You also are an author. How many books have you written about CRPS and pain? What were your main motivations? I have published two RSD books and a journal; RSD in Me!, ReMission Possible, and The Pain Code. My motivation for writing these books is so others do not have to go through the challenges of mistreatment and under treatment of pain that I endured. My books are for all of those suffering from chronic pain as well as their family, caregivers, and healthcare professionals. Until you feel the pain and are faced with the symptoms of RSD, it is difficult to understand all of the challenges it brings on. My books help fill in the gaps for non-patients and give tips and tricks for patients to help with their everyday living. My hope is that my speaking engagements and books will inspire an eventual transformation for patients filled with HOPE and motivation. 4. Let me come back on your book “Remission Possible”. You describe your experience with a Ketamine treatment. Could you explain to us the treatment and how it changed your everyday life afterwards? How long have you been in remission? I underwent the inpatient Ketamine Infusion process for my initial treatment in December 2009. Prior to the treatment, I underwent physical and psychological testing and got off of all of my narcotic medications. I was treated in the ICU unit of a hospital for 7 days. The first and last day the doctor titrated me up/down to max dose. I spent 5 days at max inpatient dose. After being released from the hospital, I began a booster infusion protocol that is done in an outpatient setting. All boosters in the protocol I use are done for at least two consecutive days. The first four infusions were done at 2 weeks, 2 weeks, 4 weeks, and 12 weeks. Since then, I am on an as needed basis. Meaning, if I come out of remission due to a trauma I schedule a 2-day consecutive booster to be done immediately. The longest I have gone without a trauma causing me to exhibit symptoms of RSD is 3 months. There is a process of healing socially, emotionally and physically after the initial remission is achieved. Life does not just go back to the way it was before your illness as I thought it would. I had to recognize this and adjust to the new life that I now face. It is a completely new phase of life, being somewhere between me before RSD and me at my worst RSD life-period. I have improved in my physical health, social activities; and mental stamina since going into remission. I learned that only the patient can begin the process of healing and that healing starts from within and it can only be yours if you choose to accept it. I am now able to do light housework, take walks, drive my car and attend more awareness events. For me the process was worth the effort. 5. Could you explain us more specifically how Ketamine acts on CRPS? What specific CRPS symptoms does Ketamine put into remission? RSD is a progressive disease with key components being damage to small nerve fibers and activation of Glia. Increasing data in the recent years link CRPS with disturbances of the immune system. Test that can be used are PET scan, small nerve biopsy, laser thermogram and soon specialized blood testing. Researchers have demonstrated the importance of the NMDA receptor and glial activation in its induction and maintenance. Ketamine is the most potent clinically available safe NMDA antagonist. It has been used in the treatment of pain, as anaesthesia, and treatment for depression over the past 40 years. Glia has a receptor for opioids that the Ketamine can also bind. Where opioids activate glia, causing increases in pain, Ketamine can deactivate the glia activation. When this occurs, you see a reduction in sympathetic nervous system symptoms. Some of these symptoms include reduced pain levels, reduced skin discoloration, reduced sweating, reduced swelling, and reduced spasms. In addition, not being in pain can help with the short-term memory issues, proprioception increases, and sleep patterns become more stable. I get relief from these symptoms listed to the point of pain days of zero. Barometric pressure changes still affect me. When storms are moving in and out, my pain goes up to a 3-4 level. Prior to Ketamine, I was at an almost constant 9-10 pain level. Other symptoms I have noticed that are better are blood pressure, migraines/headaches, no more nausea/vomiting, balance, Dystonia, and hearing sensitivities. When I come out of remission, these symptoms return within 15 minutes to 24 hours. 6. In Europe, it is very difficult for a CRPS patient to have access to the low dose Ketamine treatment. Is it the same in the U.S? If yes, what do you think is the reason? Unfortunately, it is difficult for patients in the US to get Ketamine, although it is getting better as healthcare professionals are educated on it. There are multiple reasons that access to infusion therapy is denied. Infusion therapy is being performed for patients with all kinds of neuropathy conditions and it helps many recipients. It is just hard to find a doctor who will perform infusions for anything more than IV-chemotherapy for cancer patients. What I have run into all year is resistance from doctors. Some are doctors who I know very well, which sadden me. I started asking questions to doctors specifically. Some of these doctors have seen me over the past few years. They cannot believe their eyes when they see me now. Yet they still give reasons and obstacles for not wanting to offer these treatments. Doctors tell me there is just no money in it. Insurance companies give the doctors who do perform IV-Ketamine a hassle. More so a few years ago, but even today, some still get problems. Doctors who looked into doing these a few years ago decided not to offer the procedure or to do it on a cash basis only. I had to file the paperwork instead of the hospital, but ran into no issues on the portion they paid the hospital and did not file any appeals. The next issue that comes up is that many doctors have very small offices. Even at pain management and surgical facilities, the patient takes up a spot in the recovery room or infusion room for half a day. That becomes prohibitive for doctors to deal with because it cuts down the number of patients they can treat as well as amount of funding they can make. Doctors do have limited time for treating patients, and they have required continuing education hours that they also have to fit in. Some tend to stick to classes that reflect their area of interest. So they are not getting a wide variety of knowledge that, as patients, we tend to believe occurs. I learned the hard way doctors are not created equal. It may just come down to them knowing of the condition, but it is not their specialty, so they do not invest in it. Another challenge is when a patient is having the IV-Ketamine infusions, a certified nurse needs to be present the entire time. It is different from when nurses can come in and out of patient rooms; this nurse has to monitor you the entire time. Taking one staff member away for one or a few patients at a time for four hours a day increases a doctor’s overhead expenses. Most doctors could not survive on this type of set up. They need to see more patients; therefore they need more assistant staff members. Not only are you taking vital staff away from other patients, you are using space. Finally, some doctors have tried to argue that there are no studies showing the effectiveness of IV-Ketamine treatments. There are many studies that have been done all over the world. There were also over 300 articles I found while researching for my book. The healthcare professionals just haven’t received the education in the newest information. I have to say, over the last three years, I have seen more coverage of Reflex Sympathetic Dystrophy and Ketamine as a treatment option in particular. I truly believe that we are moving in the right direction. As information spreads and medical knowledge is brought to light at medical conferences, we will see a great improvement. 7. You also gave a couple of interviews on TV…and met with Paula Abdul, a famous singer. May we kindly ask you what kind of experiences these things have brought to you? I was at an event in December 2010 and had a man introduce me to other attendees as a media darling for patient advocacy. I have done TV interviews on the local news, radio shows, quoted in newspaper articles, have presented for five other organizations, worked with state politicians to get better pain care policy, and met hundreds of people with RSD and treating doctors from around the world. I know that I am reaching many people with my pain care messages for all types of conditions, not just Reflex Sympathetic Dystrophy. I talk to everyone who will listen, no matter where I am; you could have probably guessed that easily. When I met the Jonas Brothers, I gave them awareness bracelets. I said to Kevin, the oldest brother, “I know you will never wear them”. His response was, “You never know. We may wear them. Keep watching!” It turned out that they were in town to do a live remote interview. One of the first things they did was give a shout out to those who have pain. Wow, I was very excited. I know they did that because of me. How awesome. Meeting my heroin, Ms. Paula Abdul was a great experience. I presented her with my books, 10 awareness bracelets to pass out, and a letter, in case I did not have time to share everything I wanted with her. A week later, she talked about her RSD challenges in a magazine article for the first time in a few years. I hope that my sprit, energy and inspiration lead others in a high profile position to start to speak out regularly on RSD and the challenges we all face on a daily basis. I know that I am making a difference in the RSD community, but the power of celebrity is amazing and I will keep working until everyone knows of RSD just as they do cancer, fibromyalgia or Lyme disease. 8. Is there something you would like to add? It is important to be the “Chief of Staff of Your Own Medical Team”. Meaning be in control, do your own research, and know what the facts are. The more you know and understand the better off your healthcare will be. Do not let others influence the choices you make without doing your own do diligence and being comfortable with the possible outcomes of your choice. What you chose today can have effects on your tomorrow, so be prepared for what that may be and use your wisdom to guide your medical team. Please check out the powerofpain.org website for more information. Thank you for allowing me to share my story with you. I would like to thank you for this interview. 4 commentaires pour Interview with Barby Ingle: Review of ketamine treatment for CRPS….and much more! Bonjour, est-ce que le traitement Ketamine existe à Montréal? Malheureusement, je ne peux pas te répondre pour Montréal étant donné que je suis belge. Mais tu peux toujours te renseigner auprès d’un anesthésiste d’un centre de la douleur. N’y-a-il pas un hôpital jumelé par l’Université de McGill , je sais que McGill est une excellente université (j’ai vécu au Canada un an)? Sinon, pour l’Amérique du Nord, un des meilleurs médecin pour l’algodystrophie (SDRC) est le neurologue Robert Schwartzman de la Drexel University College à Philadelphie. Ils font des protocoles de ketamine là-bas. Excellent web-site article! Can I ask how regularly do you guys come up with ideas?